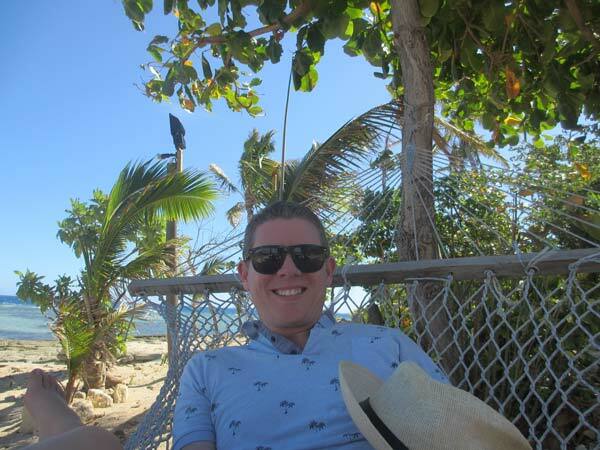 After three days in Fiji, lounging around the resort’s pool and getting up to not-that-much to be perfectly honest with you, it was time for an adventure. 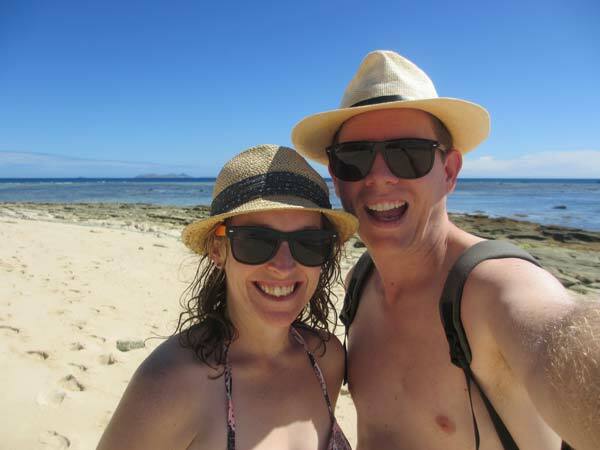 So Mrs Man vs World and I forked out around $70 (NZD) for a day-trip to Beachcomber Island. There were other tour options available, of course. I believe there was even a five-island day trip with pick-up directly from our resort, but we didn’t necessarily want to go traipsing through the Pacific, visiting any-old tropical island; we just wanted to visit one beautiful, remote, desert island and spend the whole day there, swimming, snorkelling, and relaxing in splendour. And boy oh boy did Beachcomber Island fit the bill perfectly. We caught our first glimpse of the island about an hour or so after departure. Golden sands surrounded thatched huts and tall palm trees, framed by beautiful Pacific blue. It was the stereotypical Fijian desert island in all its glory, and we were delighted to find out that it takes less than ten minutes to walk around the entire thing. Immediately after arriving at Beachcomber we were taken into the beach bar and given the low-down by the island resort’s staff. 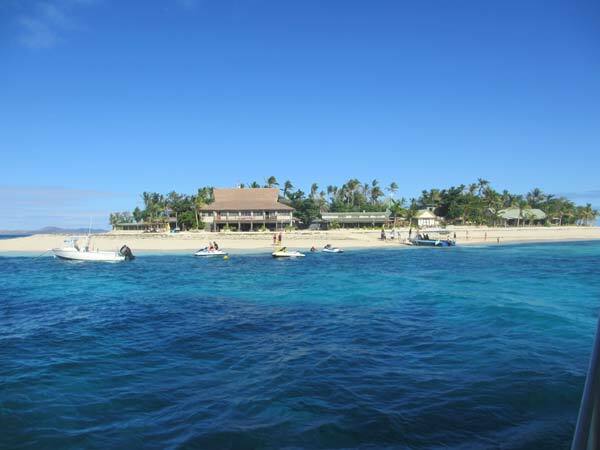 There were two snorkelling trips – one in the morning, and one in the afternoon, with a barbecue beach lunch in between. We could hire beach loungers and bean bags and towels from a nearby kiosk, and the beach bar would be open for happy hour at around midday. Naturally, I was in a hurry to go snorkelling so we went on the first trip. We had to provide a deposit for the gear (which we got back later) and a towel, because we’d neglected to bring our own. Then a long, skinny little boat took roughly 15 or so of us out to a reef not 200m or so from the beach. As we plunged into the warm Fiji water (i.e. the ocean; not Fiji Water, the stuff that you drink) we were enveloped by hundreds of curious fish, looking for their next meal. The man leading our snorkelling expedition through some stale bread overboard, and then we found ourselves in the middle of a feeding frenzy. 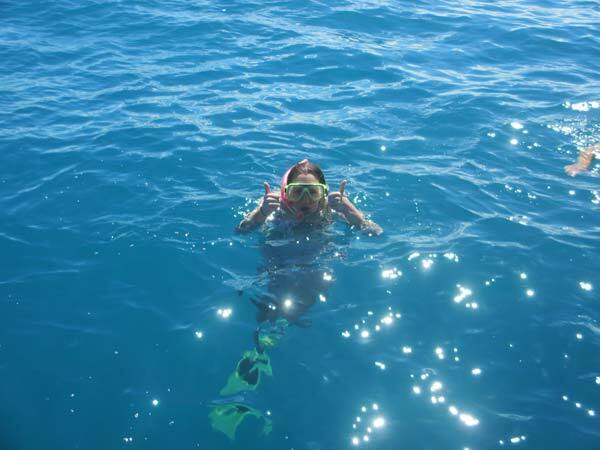 As far as snorkelling trips go, this one wasn’t up there with the one we did in Koh Samui, Thailand, where the crystal-clear water was so thick with fish that we were practically swimming in them. But it was comparable to some of the other snorkelling trips we’ve been on in Cambodia, Vietnam, and Indonesia (although I didn’t see any turtles like I did at Gili T). Afterwards, we chilled out back at Beachcomber, sunning ourselves and reading our books on the sand, before heading off on a short 10-minute walk around the island. Although the main beach you arrive on boasts fine, golden-white sand, much of the rest of the island has coral and rocks; not great for swimming, of course, but it makes it semi-interesting for exploring. Along the way, we tested out some of the hammocks that were hanging outside the island resort’s beach huts for rent. We got back to the beach bar in time for happy hour. The prices there were perhaps a little higher than they were on the mainland, but still dirt cheap for a beer. Unfortunately, a lot of people ordered cocktails, so beer drinkers like myself had to wait quite a while to be served (here’s an idea: how about a separate bar area for cocktail drinkers? It’d be like the slow lane on a motorway). But it was no big deal, and my cold beer in the hot sun was well worth being patient for. At lunchtime, the 30 or so other tourists on our day tour to Beachcomber, as well as the resort’s guests, resembled the fish we’d been snorkelling with that morning, as a feeding frenzy of our own ensued in another one of the thatched-roofed beach-side shelters. The barbecue buffet included delicious Fijian-Indian curry, salad, soup, sausages, over-cooked steak, fruit salad and muffins for after. After loading up, we relaxed on the beach some more, reading our books, and soaking in all that lovely vitamin D from the sun. Then we went for a swim while some of the others played beach volleyball. Before we knew it, it was 4pm and time to catch the boat back to the Fijian mainland. By that time, the ocean swell was worse than it had been on the way out to Beachcomber Island, so there were some people looking a bit green around the gills on the way back, but it wasn’t so bad. We’d had a tremendous day in paradise.